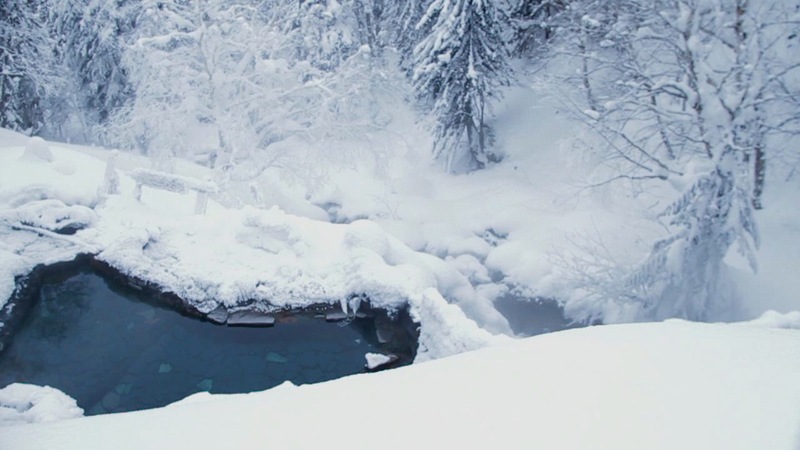 In thousands of places across Japan, rivers heated by volcanic activity spill into beautiful rock-lined hot springs, known as onsen. 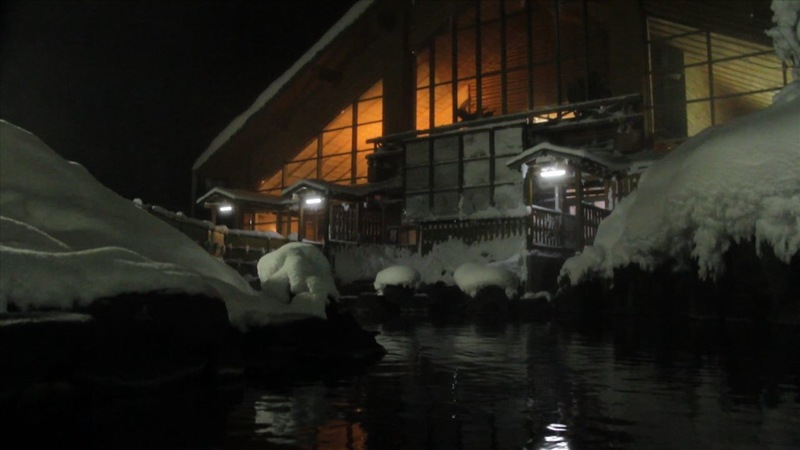 Hakuginso Onsen is one of many located along the edges of Daisetsuzan National Park and the Tokachi mountain range, among the tallest peaks in Hokkaido. The picturesque lodge, built to house the onsen, also provides access to some of the best backcountry skiing on the island—literally right out the front door. Our home for the week! 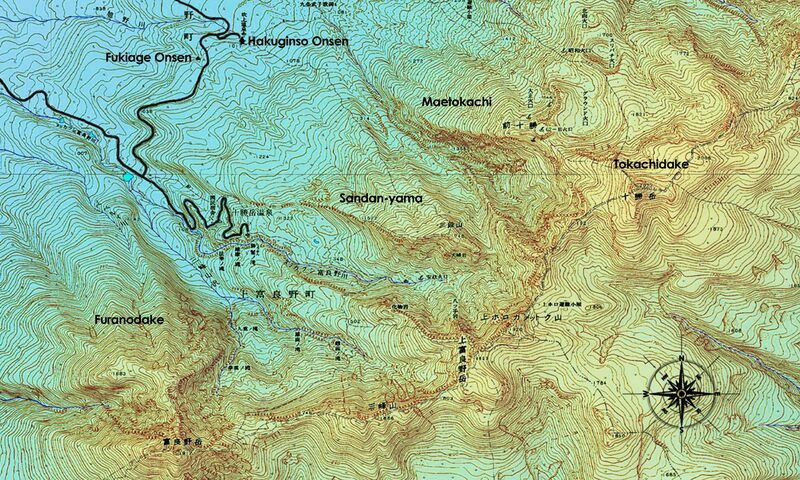 A map of Tokachi and the surrounding mountains. Click to view larger. The view from the front door. 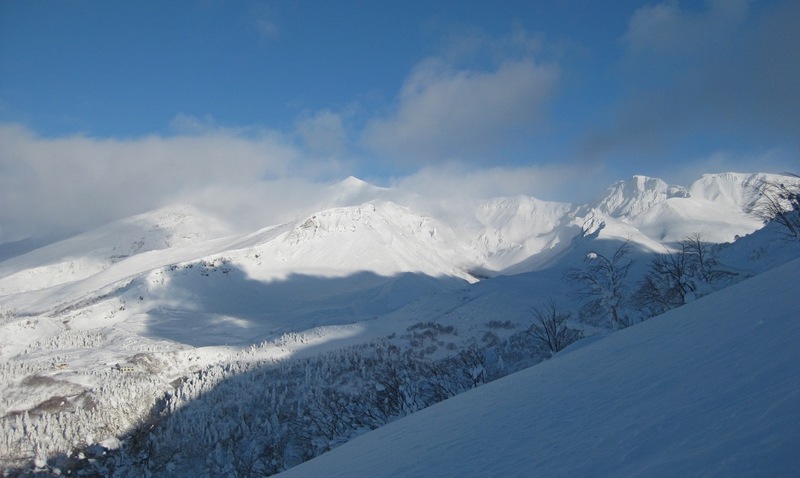 Tokachidake with Maetokachi in the foreground. Nearly every morning during our six days there found us up before dawn, watching the sun rise from behind the mountains and steam billow from Tokachidake. And every evening we returned from skiing exhausted and ready to soak away all of our aching muscles and sore limbs. It is without a doubt the best way to end a hard day of skinning, skiing, and generally being cold – watching mist rise and listening to the soothing sounds of trickling water. Right behind the lodge was Sandan-yama. Though slightly less steep than other nearby peaks, it offered some of the most amazing views we’ve ever seen. From the crest of the ridge, we could see the entire mountain range and a valley of rice fields stretching to more impressive mountains off to the east. 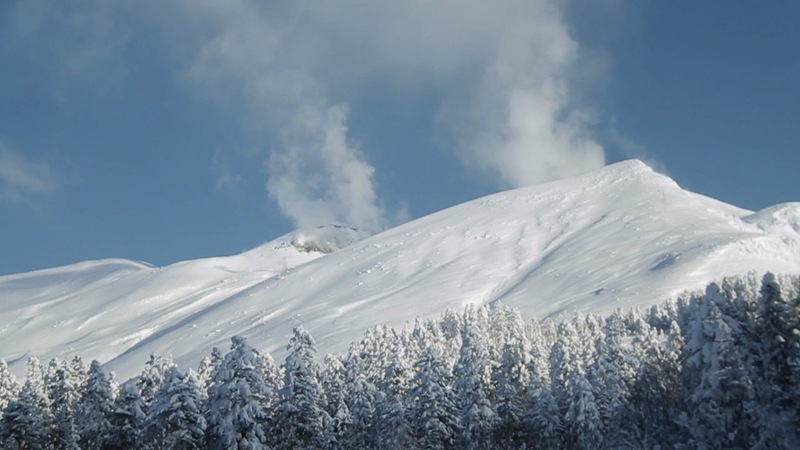 Far below us, another geothermal vent puffed steam, emitting a faint sulfurous smell. 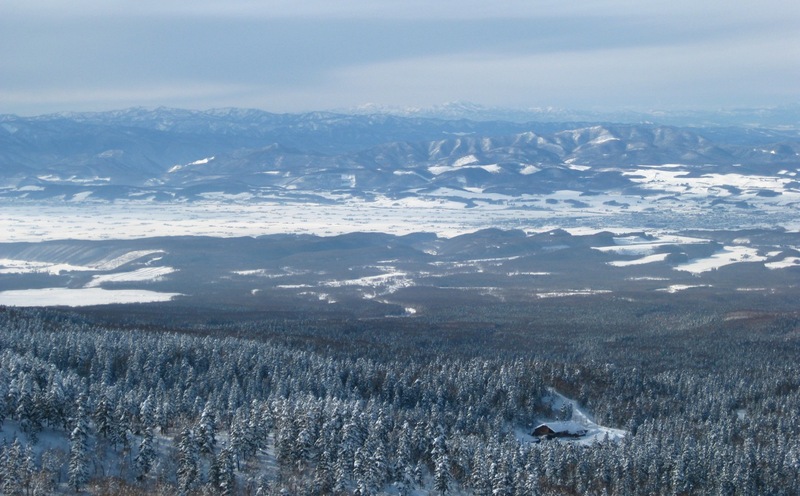 Furanodake from the top of Sandan-yama, with Furano Ski Area visible across the valley. 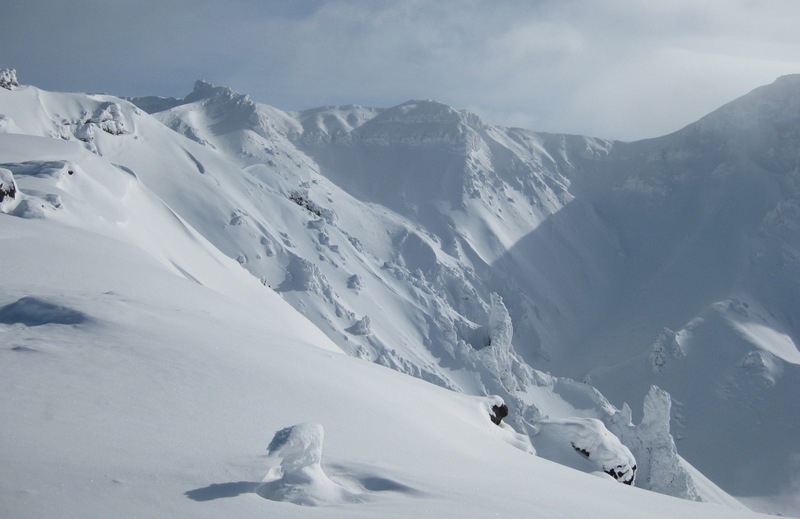 Two kilometers down the road, a skin track cut through the snow banks and wound its way up the eastern ridge of Furanodake, a larger and steeper peak with better skiing. On our first attempt, we took a disastrously wrong turn and ended up following someone’s steep brambly descent: not the easiest going. I think I cursed more in that hour than I have in my entire life! Two days later, we returned and discovered a slightly hidden but wonderfully well-packed trail of acceptable grade, and it was glorious! It was a gorgeous, bluebird day, and the sun shone down on us while we made our way through fat silver birch trees and up the ridge. 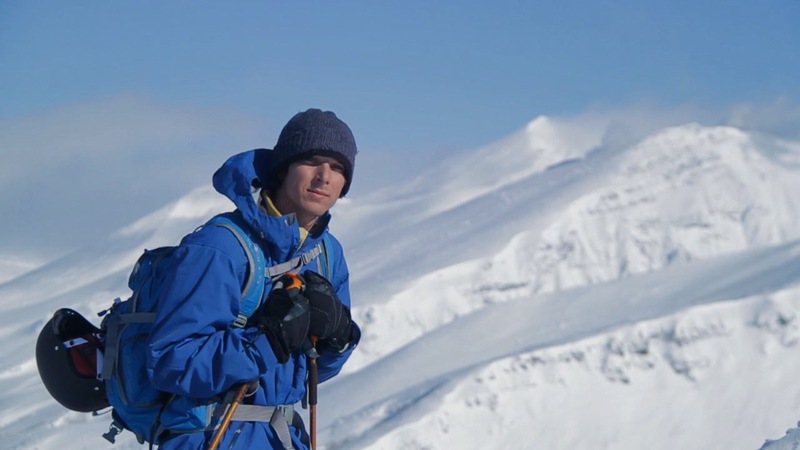 Our Euro roommates dropped into a bowl on the far side of the ridge, filled with wind-protected powder and evenly spaced trees, and we followed suit. Nate, with Tokachidake in the background. Hakuginso seemed to be a popular place with the locals, and we were some of the only foreigners here. 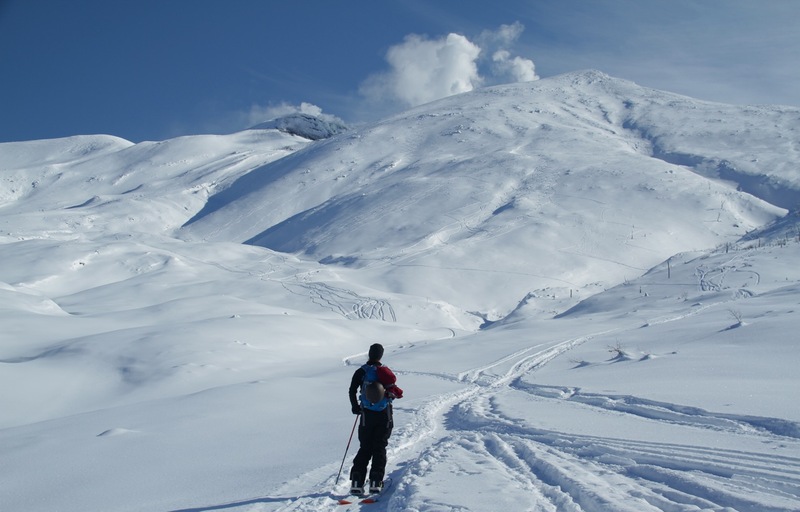 Many came to ski from elsewhere in Japan—or just visit the onsen— and most were very friendly. We were presented with homemade gyoza and treated to sake and wine more than once. Most people only stayed for one or two nights, and they brought along elaborate meals that we eyed jealously. One old man seemed to live there, and every morning and evening—and probably throughout the day— he mixed himself a large mug of beer and sake. The rest of the time, he was asleep on a bench or watching TV. 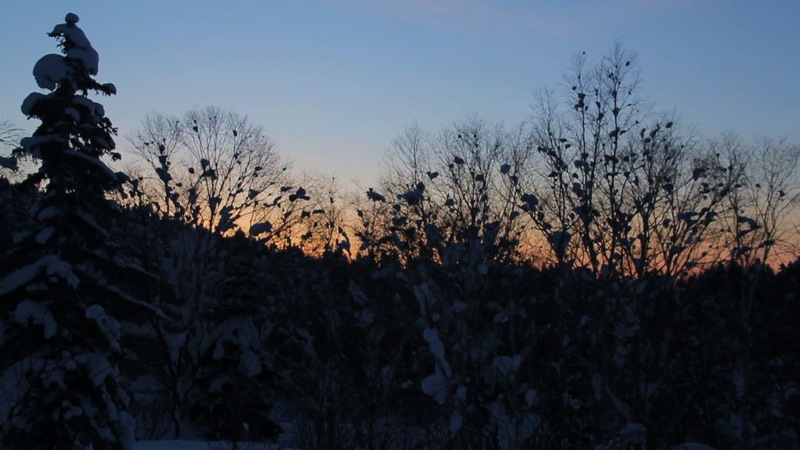 One morning, we got up extra early and walked down the road to Fukiage, an onsen in the woods surrounded by snow-laden evergreen and birch trees. We wanted to get there before anyone else so we could take the camera—definitely frowned upon at an onsen. The water at Fukiage is incredibly hot, sometimes too hot to even go in. 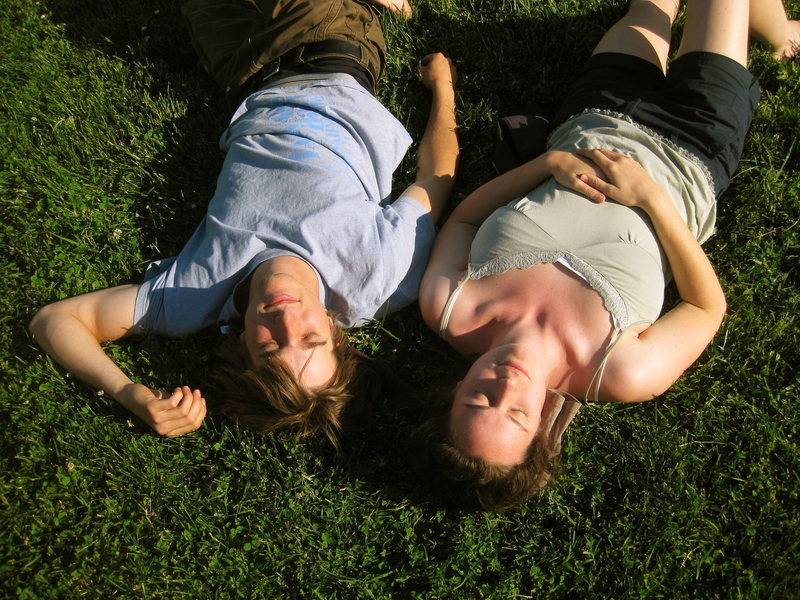 We sat partially submerged, with steam swirling around us and forming frost in our hair. Our last day, we took a mellow path up Maetokachi, which dominates the view from the onsen’s east facing windows. It was short but steep, and bare except for a few dead, shrubby trees. We took a long, unbroken line down—one of our favorite days! Steph on the approach to Maetokachi. A look back at our lines. 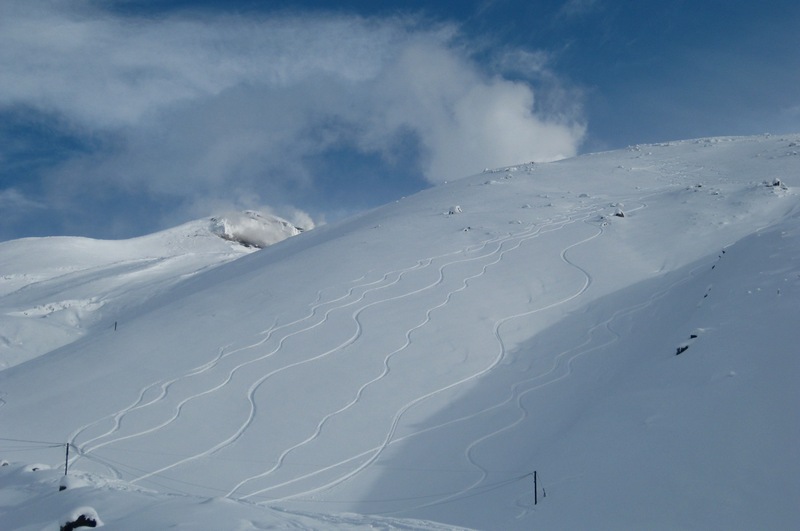 Can you guess which turns are ours? We will certainly miss the onsen and seclusion of the lodge, but we’ve had our fill of touring for a few days! It really makes you appreciate ski lifts; you can get in so many runs for so little work! 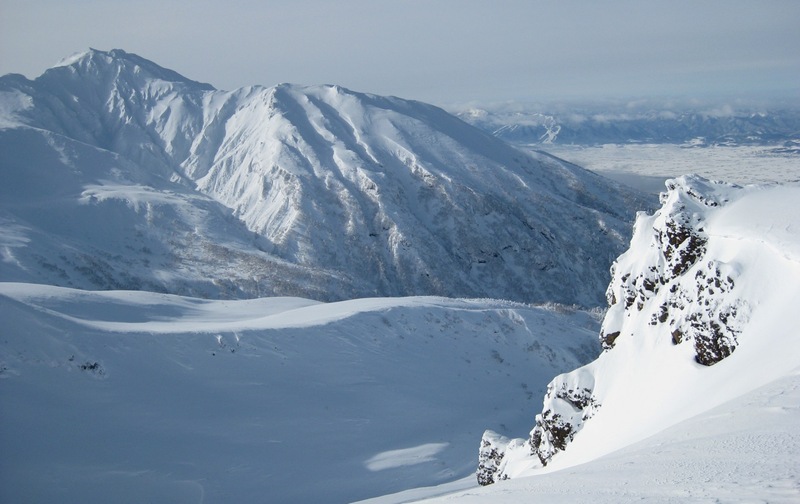 We will gladly hand over $50 for a day of riding lifts at Hakuba, our next skiing destination on the main island. 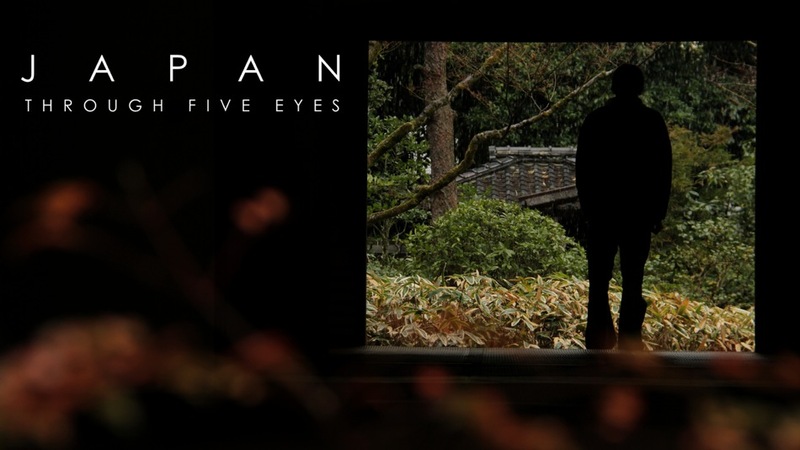 This entry was posted on January 30, 2011 by Five Eyes Films. 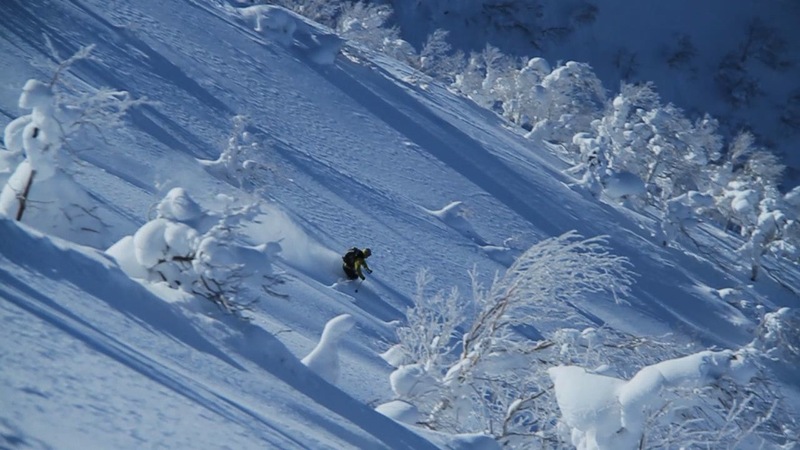 It was filed under Uncategorized and was tagged with hokkaido, japan, mountains, skiing, video. Incredible! This website is so amazing and inspiring! I’m so proud of you two! It’s really special to be able to see each new place you go and hear about everything you’re doing! It makes it a little easier to bear you absence here! Love you both!